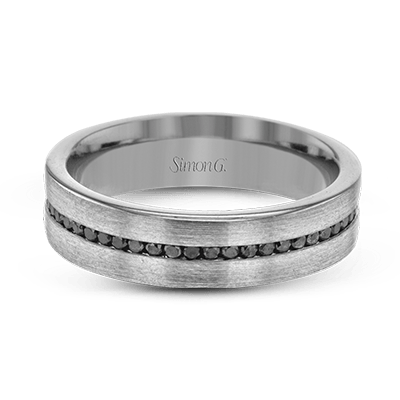 Men\’s jewelry can sometimes fall in the shadow of the overwhelming amount of women’s jewelry available on and offline. 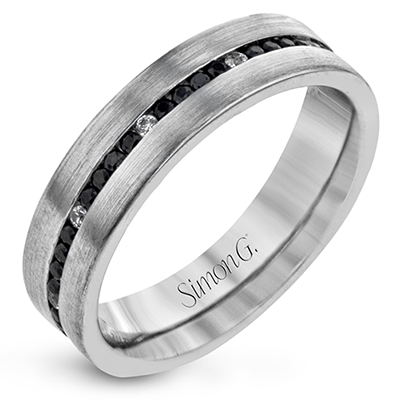 At Simon G., we have purposely devoted our craftsmanship to creating a unique and sophisticated men’s collection. Our bracelet and ring options are designed to elevate your wardrobe so you’ve always got a great piece to wear out. Our rings are available as engagement and fashion bands, so you can find the perfect ring for your partner or an upcoming cocktail party. 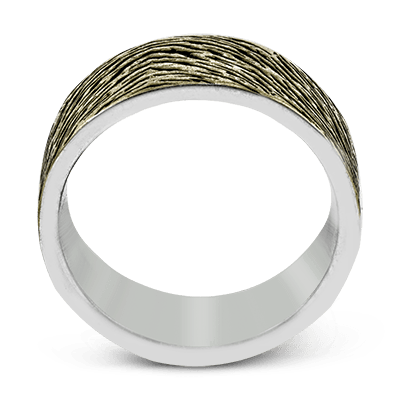 Our men’s jewelry will match any attire and style. Our jewelry for men offers an assortment of handsome bracelet options, perfect for casual or evening wear. A bracelet can stand alongside a nice watch for a finishing touch. Choose from subtle offerings like a black diamond bracelet set in 14k black-rhodium gold. Its slender design makes it great for everyday wear or for special occasions. Another selection has three gold colorways in rose, white, and gold. It’s wrought in 14k gold and has a chunky, substantial appeal that will be a statement maker with your outfit. 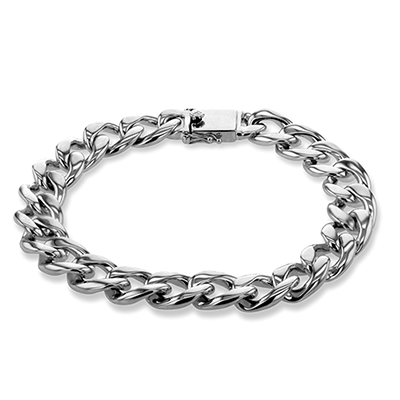 For a more traditional look, we feature a white gold linked bracelet with diamond inlaid links. This one would be a great choice for men of all ages and could easily be gifted as an anniversary, graduation, birthday, or Christmas present. 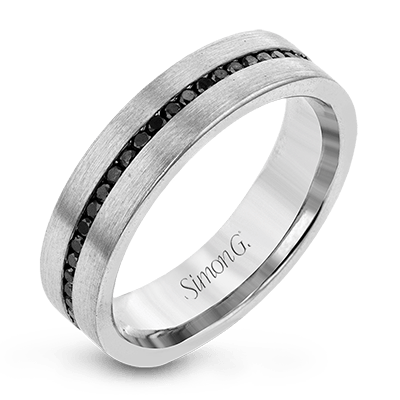 This men’s jewelry collection also includes men’s wedding bands. 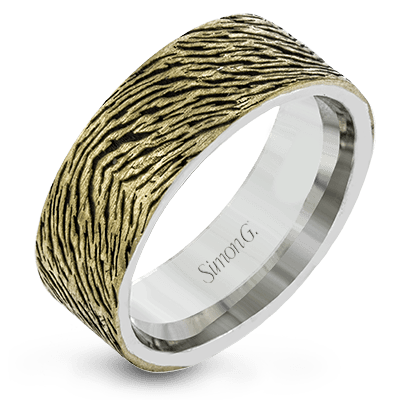 Men’s bands don’t have to be solid yellow gold anymore! 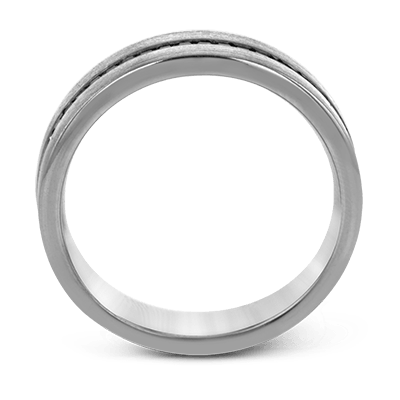 From low profile offerings to bolder rings, we’ve got the perfect option for you or your partner. For a two-tone look, we offer a gray and rose gold band that’s timeless and chic. Several of our men’s bands use black diamonds at their centers, like one white gold brushed ring with these stones and white diamond accents. 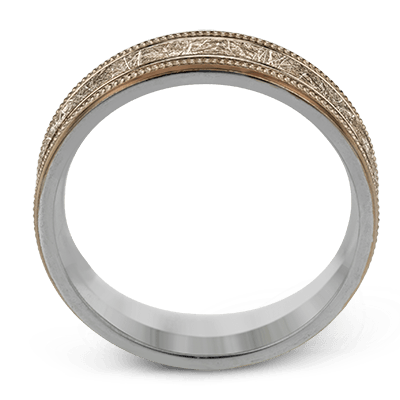 Others are designed with larger round diamonds inlaid in white and rose gold for a dazzling band. 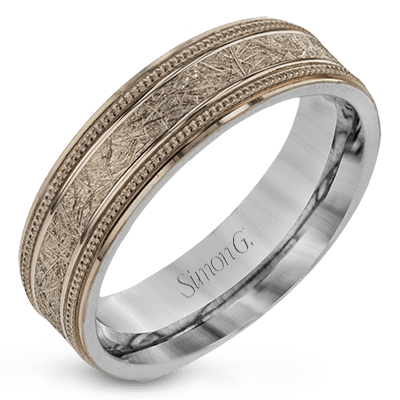 There are many white and grey gold brushed options with no diamond accents should that suit your needs better. 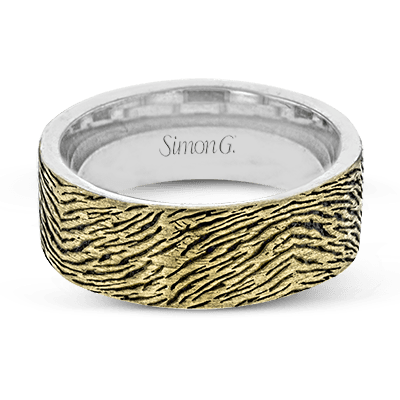 One of these takes on a modern hammered metal look in grey gold with central grooved accents. With detailed metalwork like this, the extra diamond accents aren’t necessary. 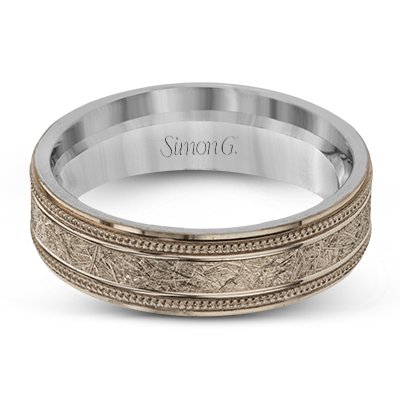 With Simon G., you’ll find one of the best men’s jewelry collections available. Our pieces are designed and developed by us, so you can be sure that you’re shopping one of a kind looks. 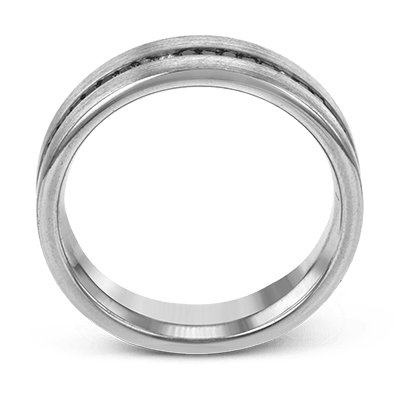 If you have any questions about our jewelry for men, please contact us for more information.